Biking and cycling is exploding all over the US. Whether you are out for a casual ride, trying to get some exercise, or riding competitively everyone needs to maintain their bike(s). 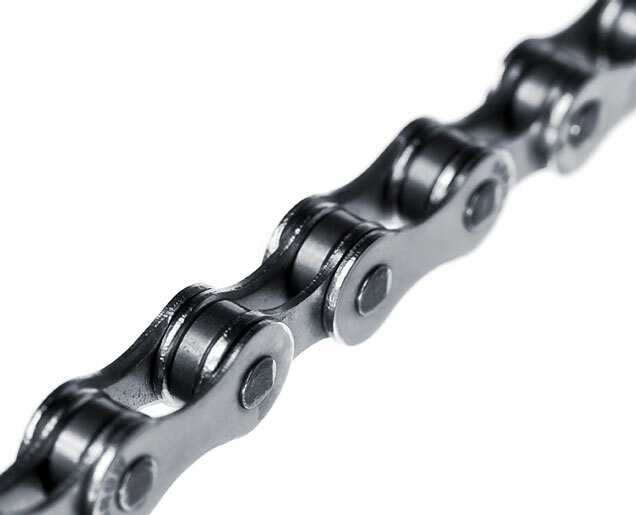 Although we recommend going to your local bike shop for major problems and yearly tune ups here are a few things that anyone can do at home to help maintain your bike. 1.) 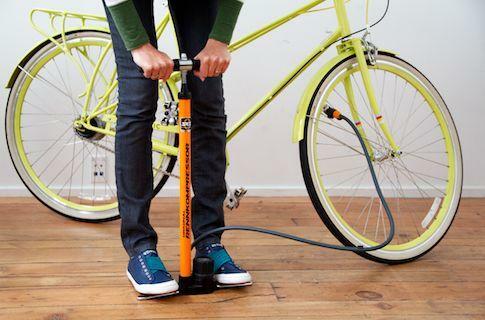 Properly Inflate your Tires– Just like your car you need to maintain your tire pressure in your bike. Look on the tire to see what the recommend pressure (psi) is for your tire and check this periodically. Competitive cyclists will pump their tires before every ride. 2). 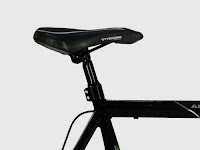 Clean/grease your seatpost – Nothing is more annoying than not being able to adjust your seatpost. To clean it, start by marking where your seat is with tape. After removing your seat, clean inside with an old cloth. Then our some grease inside the pipe and reattach your seat post to its correct position. 3). Visually Inspect Your Bike - I know this sounds like an easy one but just giving your bike the once over before your ride can save you a lot of headache. 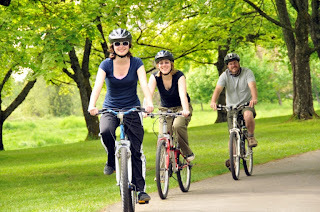 Check things like your tires, chain, brakes. As do a quick check once you get on your bike to make sure your brakes and shifters are working properly. 5). Store Your Bike Properly - Dumping your bike on the garage floor after your ride is not what we would consider proper bike storage. Ideally you would have a dedicated bike rack so you can properly hang your bike in a secure place where it won't get beat up and also won't get water, dust, grit, and grime on it. Having a bike rack will also help to organize your home and garage as bikes can take up a lot of room especially if the whole family has one. Don't want to mount anything you your wall, there are some great options for Free Standing Bike Racks as well. 6). Oil the cable guide of your bottom bracket – Covered in grime from dirt, sweat and your sports drink of choice, the area where the bike’s derailleur cables slide into needs some attention too. 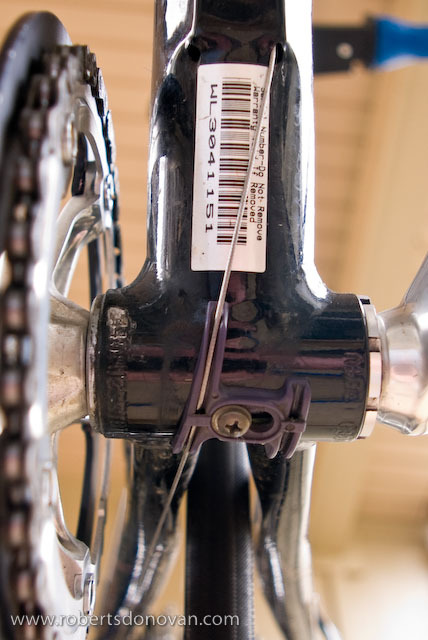 By oiling the cable guide, you can prevent annoying shifting and friction that obstructs a smooth ride. 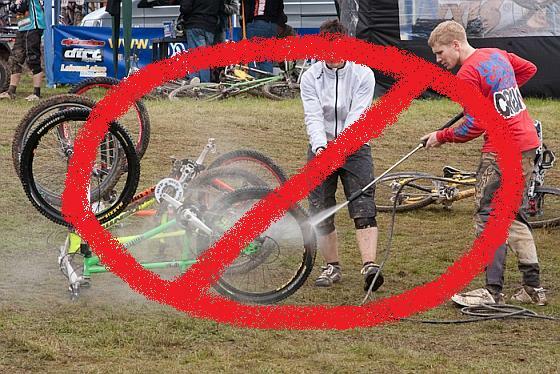 7) Keep your bike Clean but Don’t pressure clean your bike - Wipe down your bike with a dry cloth or a damp cloth. High water pressure can actually cause dirt to form in hidden places on your bike. Not only that, it causes rust and actually removes the oil on the chains and gears. Instead use a garden hose or a rag with a bucket full of water. Make sure to fully dry your bike after to prevent rust.